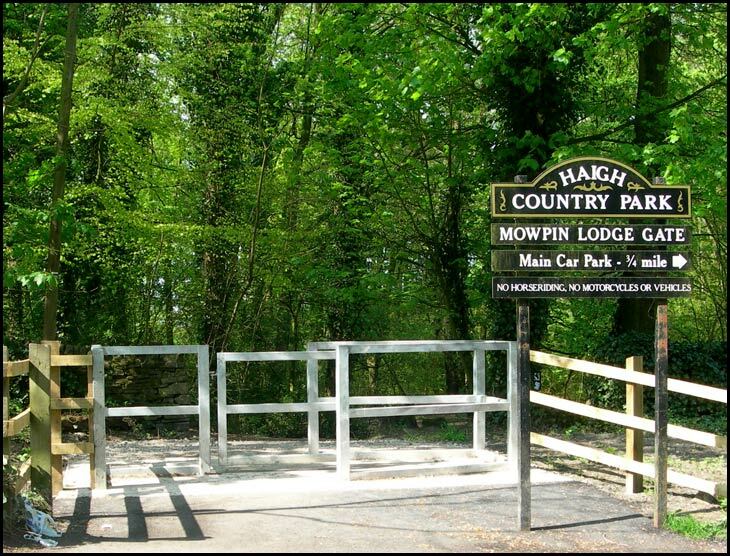 The new gate at the entrance to Haigh Plantations at Mowpin Lodge, allowing access to mobility scooters. Another good interesting photo some might say its only a gate but if you use your imagination you will be able to see everything what behind it. Good photo, the steel gate is ok, but the wooden fence will sadly get ripped down with off-road-bikers. It happens all the time in our country parks. Not very interesting once again. a mobility scooter would surely struggle to get through there?